Tracksounds: SoundCast Ep. 24 - I Know What You Scored This Summer! SoundCast Ep. 24 - I Know What You Scored This Summer! I Know What Your Scored This Summer! 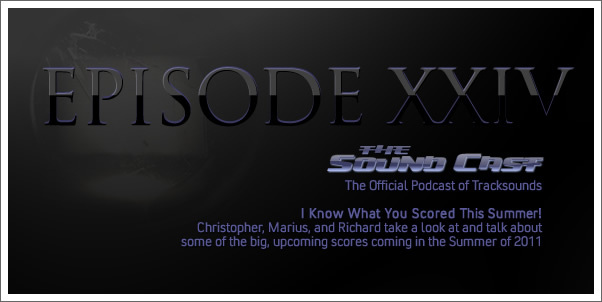 Christopher, Marius, and Richard take a look at and talk about some of the big movie scores coming in the summer of 2011.